CAPTAIN WALTER CONTACTED US FROM SWEEDEN. 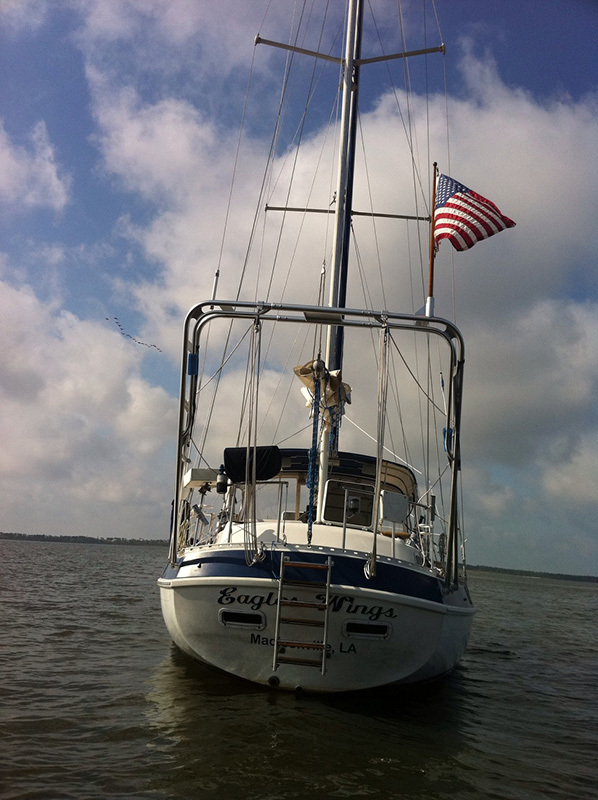 HE SOUGHT A TOWER IN A BOX® ARCH FOR HIS SAILBOAT. HE SENT HIS COMPREHENSIVE MEASUREMENTS. WE ADVISED HIM OF THE CORRECT ARCH DIMENSIONS. HE APPROVED IT. 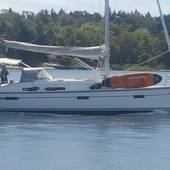 WE SENT HIM THE CORRECT TOWER IN A BOX® SAIL ARCH DIRECT TO STOCKHOLM. RECEIVED AND INSTALLED BY THE GOOD CAPTAIN WALTER. WE’RE STILL NOT SURE WHAT MAKE THE SAILBOAT IS! Even at a distance over 3,900 miles away, the Atlantic Towers team is able to service initial customer inquiries, determine customer specifications and administer to delivery successfully. Our ability to service, accommodate and deliver to customers around the globe is something we offer daily. Ask Captain Walter. 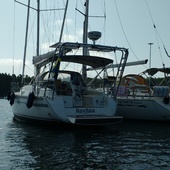 Thank you Captain Walter for your business and your photographs…Lycklig segling...Happy sailing. 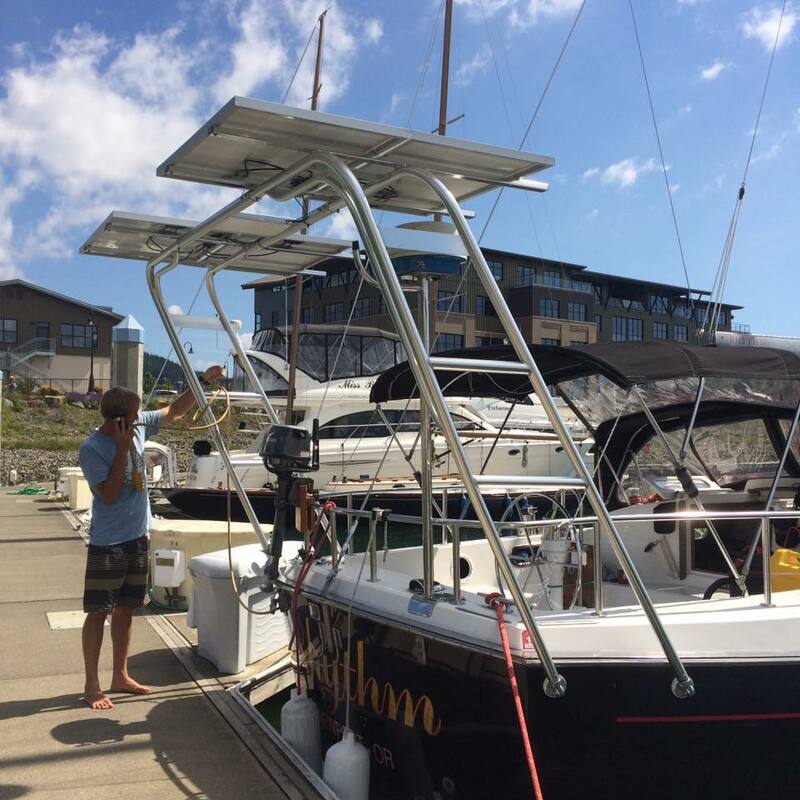 Captain John shares some great photographs of his new Tower In A Box® Sail Arch that he himself installed on his stunning 1979 Pearson 424. He reports that the arch is a very utilitarian structure housing amongst other equipment solar panels that can generate 400W! 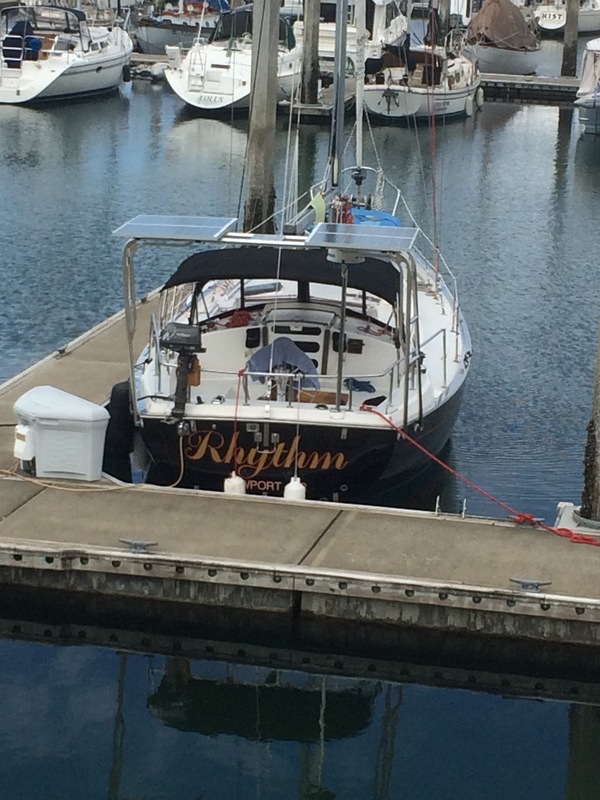 Moored in Oregon, Rhythm is ready for the summer sailing season…Happy sailing Captain John! This note is overdue. 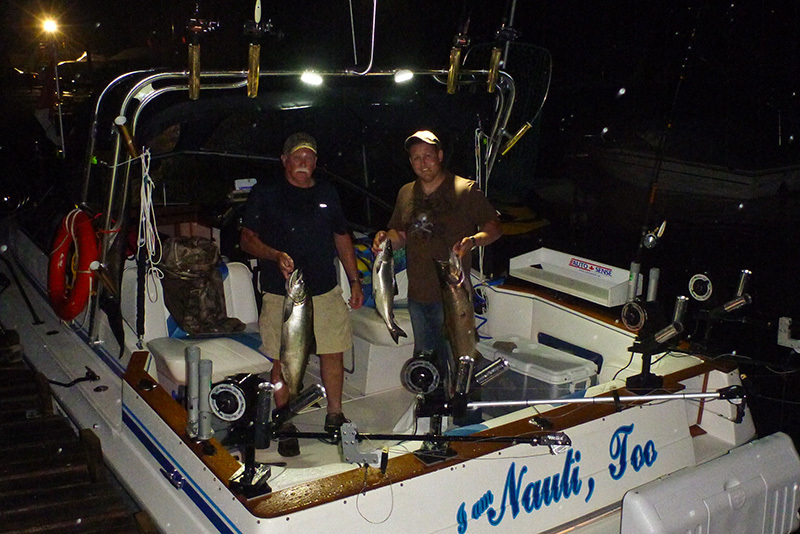 I wanted to let you know how very pleased I am with my Atlantic Towers hardtop. 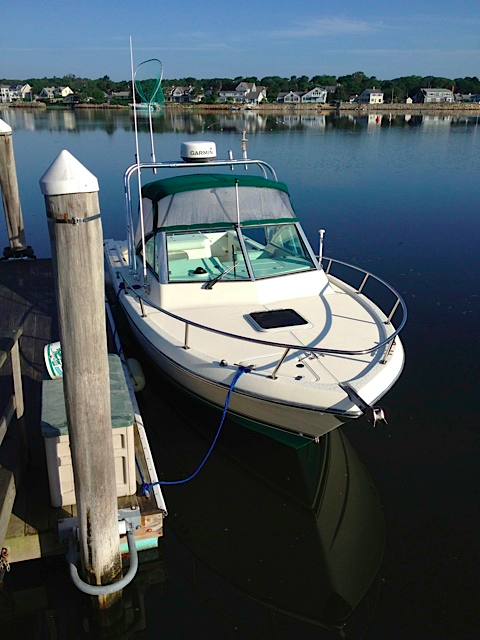 Over this last season I have had several improvements made to my boat - the hardtop, bow thruster, new canvas and other improvements. In total 5 different companies were involved - and what stood out for me was how much better Atlantic Towers were to deal with. You were the only outfit who did exactly what you said you would do - on time and as quoted. That dependability is one of those things that people do not consider fully when making purchase decisions - but in the end is such a welcome experience. Thanks for your support. And yes the top looks terrific. I was worried about the look. 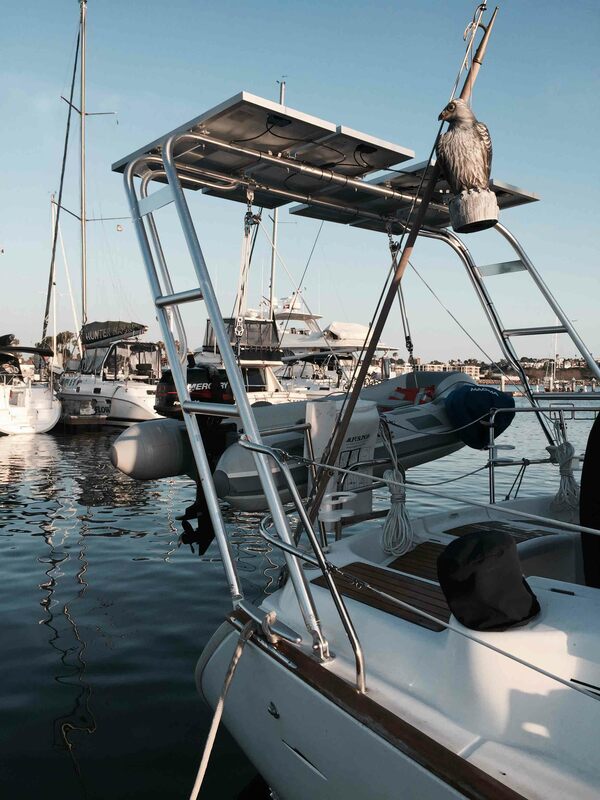 This is one of only 5 Baja 430 Motor Yachts and I did not want to take away from her lines. The pictures speak for themselves. Just to let you know, love your towers. Super fast delivery, easy install. 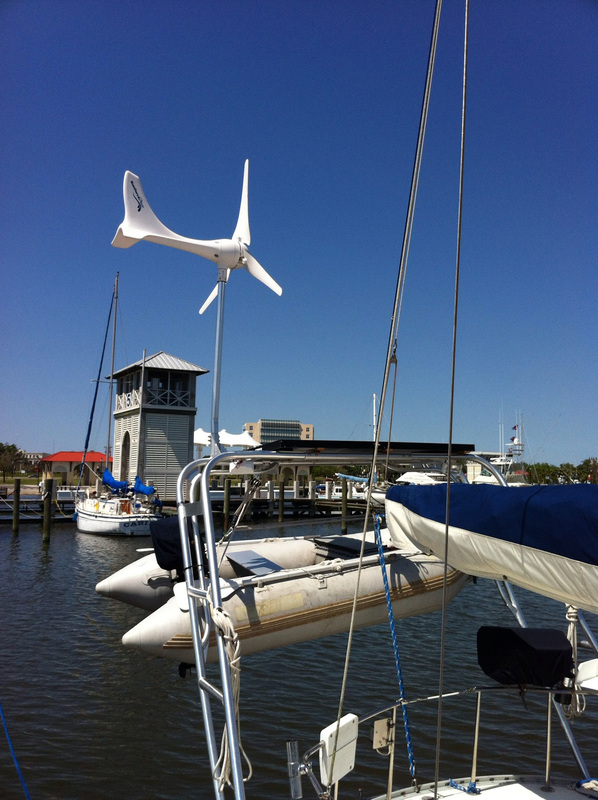 Works great as dinghy davits and solar panel arch. I installed the radar arch myself almost 3 years ago and the installation couldn't have gone more smoothly. 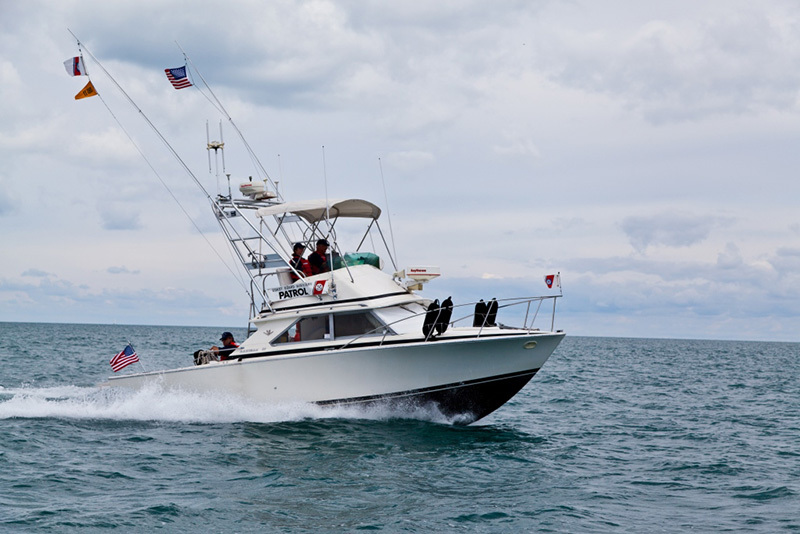 We used our 25' Pursuit over 125 hours per year for fishing and family outings. 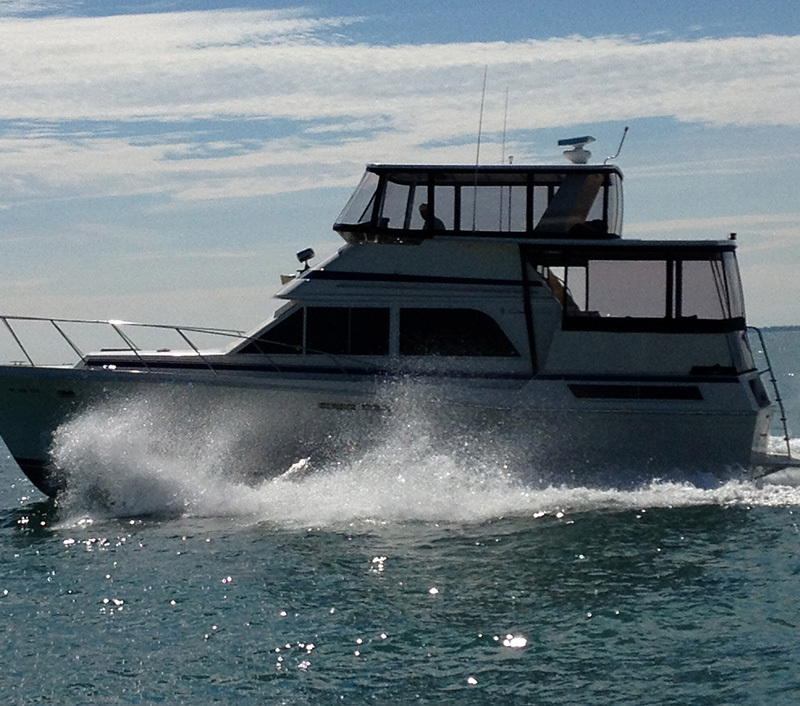 The boat and the radar arch handled rough water and the heavy usage use with no problems. 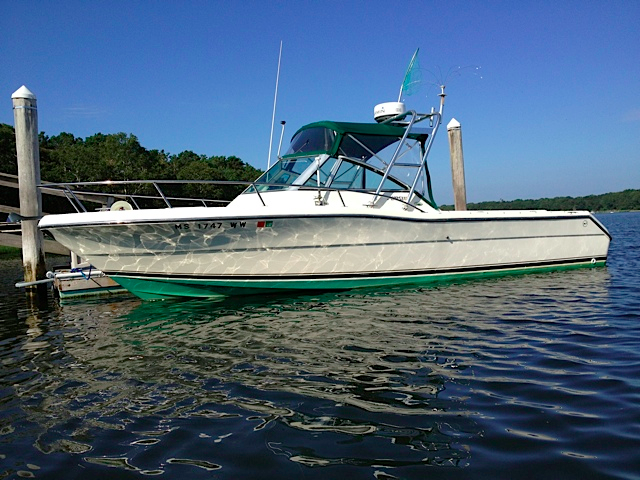 We sold the boat this fall; I'm sure that the radar arch and the electronics helped make the sale. 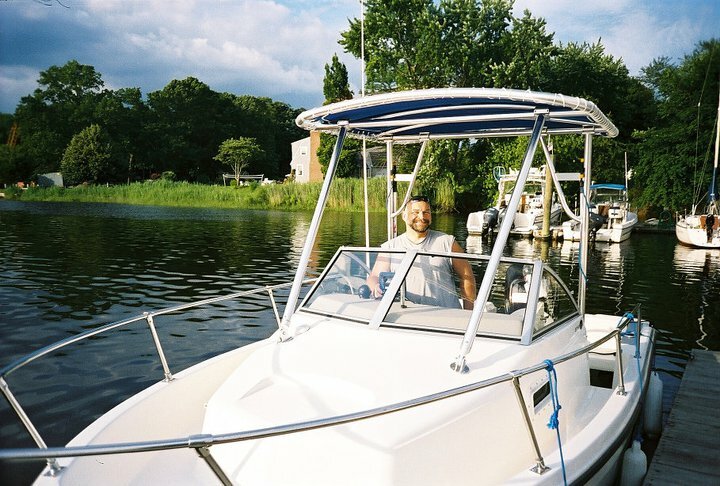 A number of years ago I purchased a Radar Arch from you for my 28 ft. Fybridge Crusier Bertram. 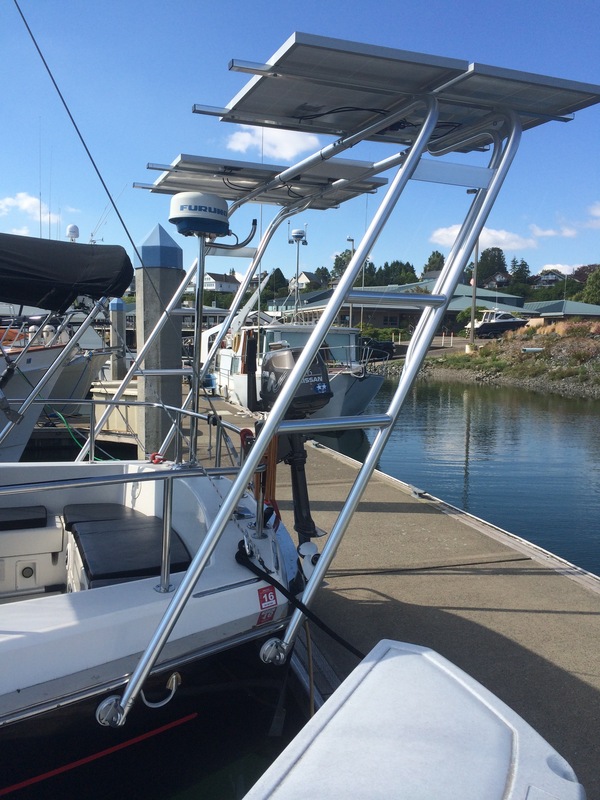 This radar arch has been a wonder for our purpose in the U.S. Coast Guard Auxiliary. In the U.S.C.G. 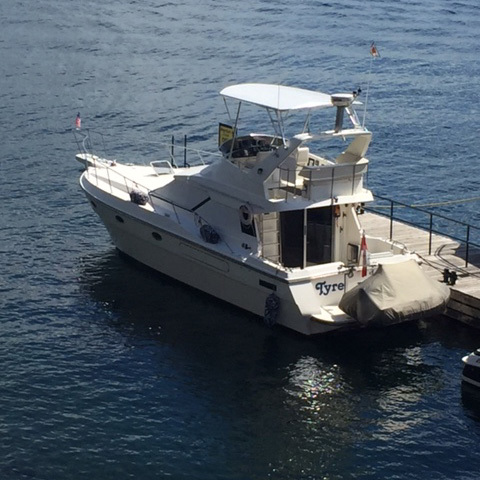 Auxiliary we are required to have a number of additional electronic devices that the average boater is not required to have on board (i.e. 2 radios, etc...), which would be a nightmare of antennas without a Radar Arch. I found your product to be a high quality, well thought out product that fit perfectly for our needs. 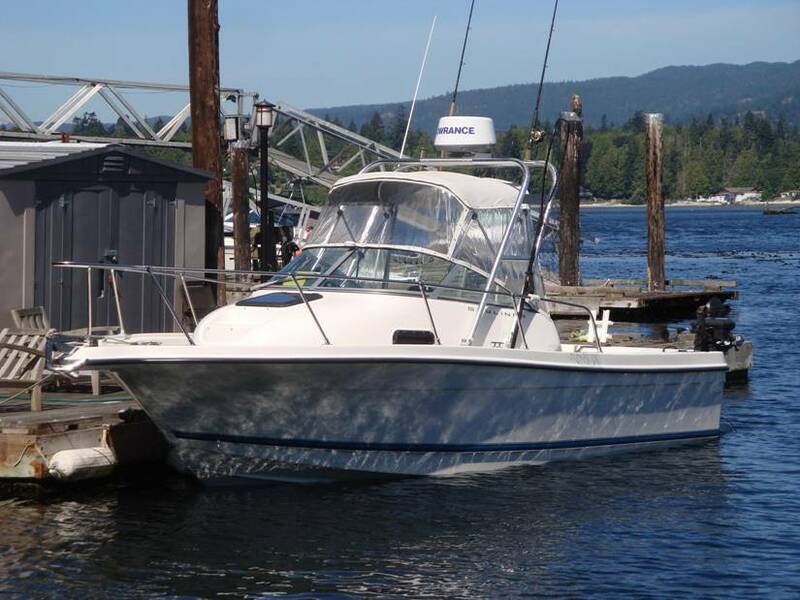 Just sold boat today and the buyer loved it also. 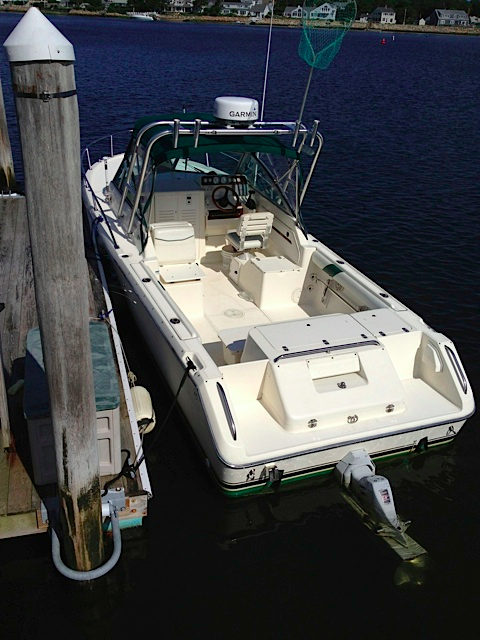 Attached please find some photos of the hard top Atlantic Towers made for my 426 Chris Craft. We received and installed the top with no issues. 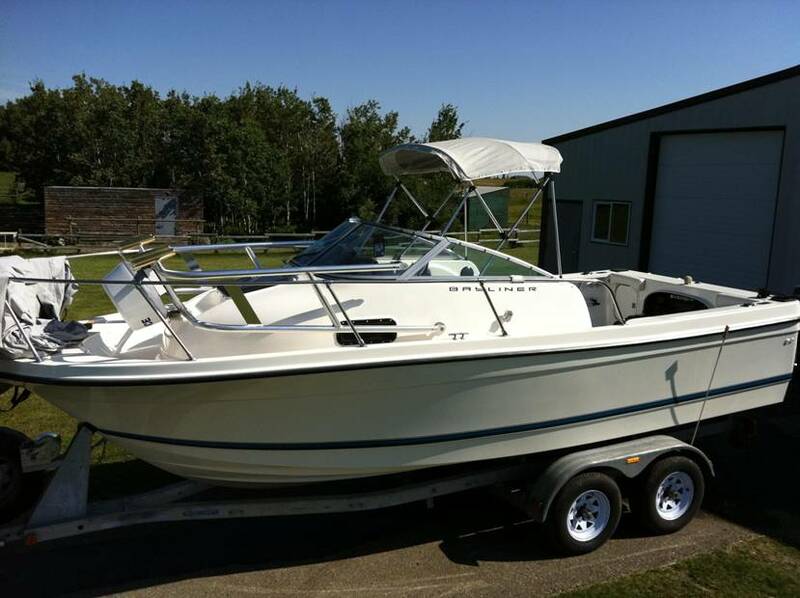 Shelly, it is like a new boat to us we love it thanks for the great job. Everything fit perfect and was easy to install. 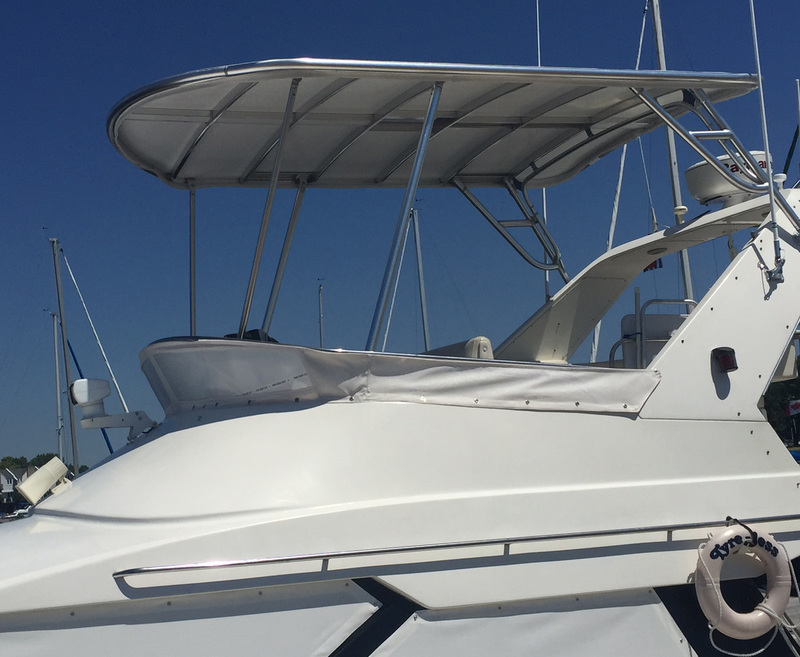 I receive questions from many fellow boaters as to where we purchased the hard top and I tell them from the best, Atlantic Towers. My tower arrived this morning in perfect condition. Thanks for everything. The quality is magnificent and worth every penny. I am so pleased with it. We will be installing it tomorrow. 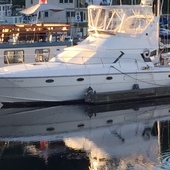 I believe it will change the look of the boat for the better. 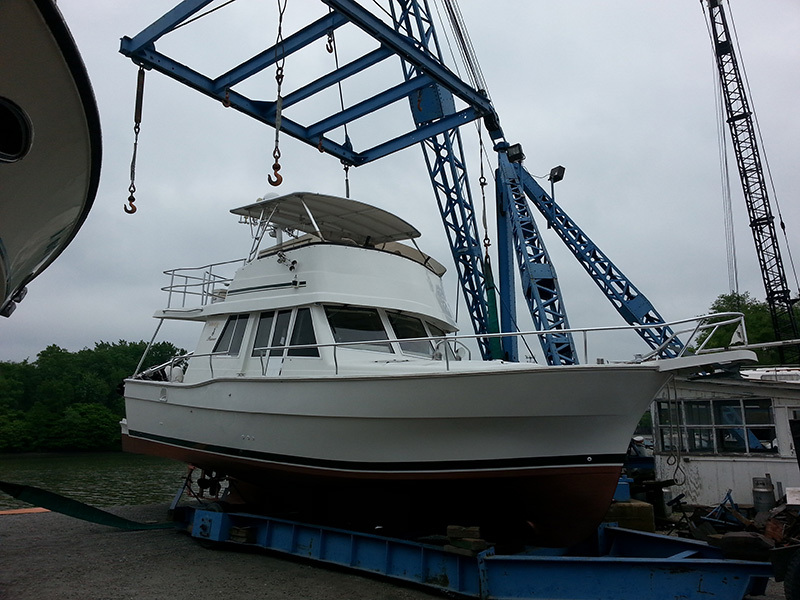 Once we add the new downriggers and do some cosmetic work on the teak etc..... a lot of people on the water will be “drooling”. The top turn out, great. 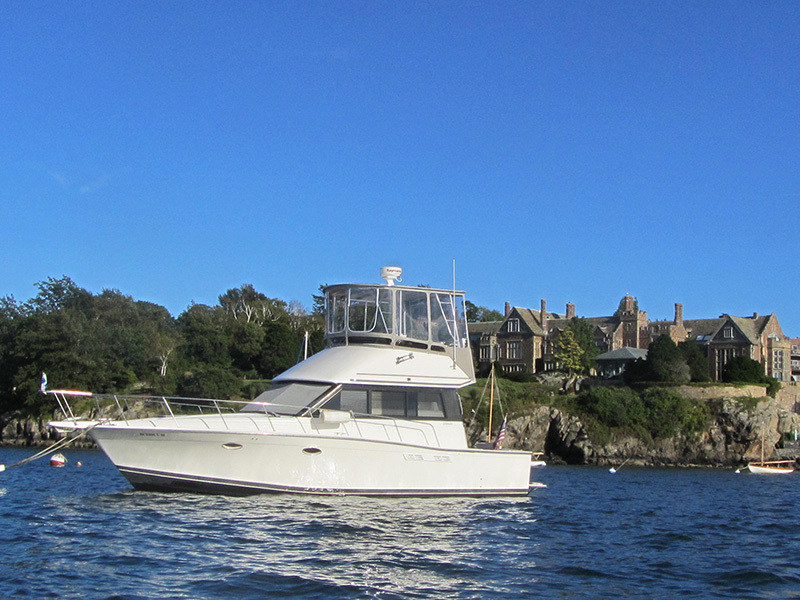 Attached is a photo of “Independence” on her mooring in Brenton Cove in Newport, R.I. 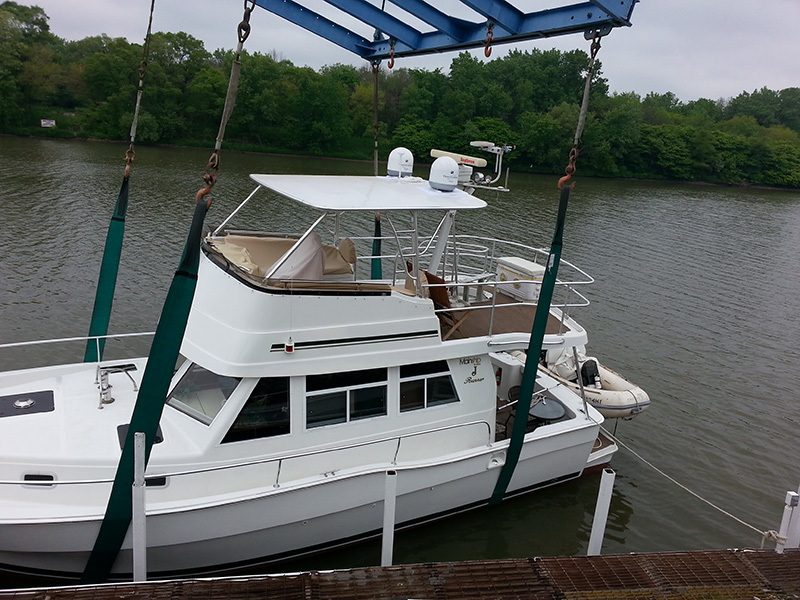 The Atlantic Towers hardtop is terrific and with the enclosure gives a new room to view the world. (In the background is one of the Newport mansions called Bonnie Crest). Hello, my name is Chris Beach. This past spring my father purchased a new hardtop for our 21ft. 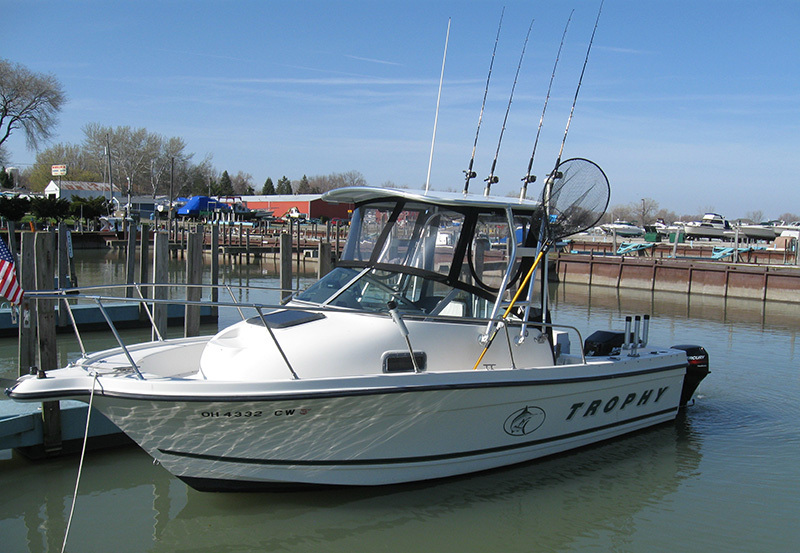 Bayliner Trophy. 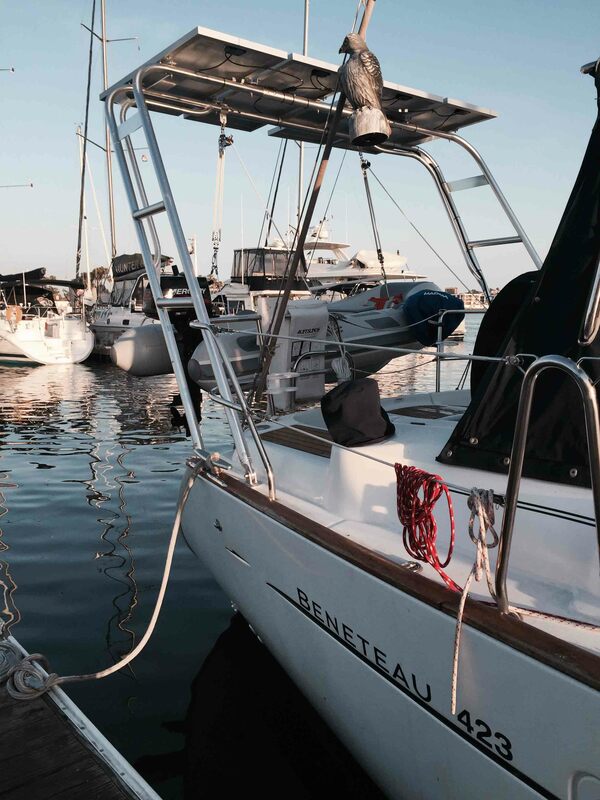 We could not be happier with not only the way the boat looks but also the quality of the material that was used in making the top. I am including a couple pictures which also include the custom canvas work that was also done to match the top. Thanks so much again to Atlantic Towers for producing such a quality product. I just LOVE my Super Trampoline T-Top ! 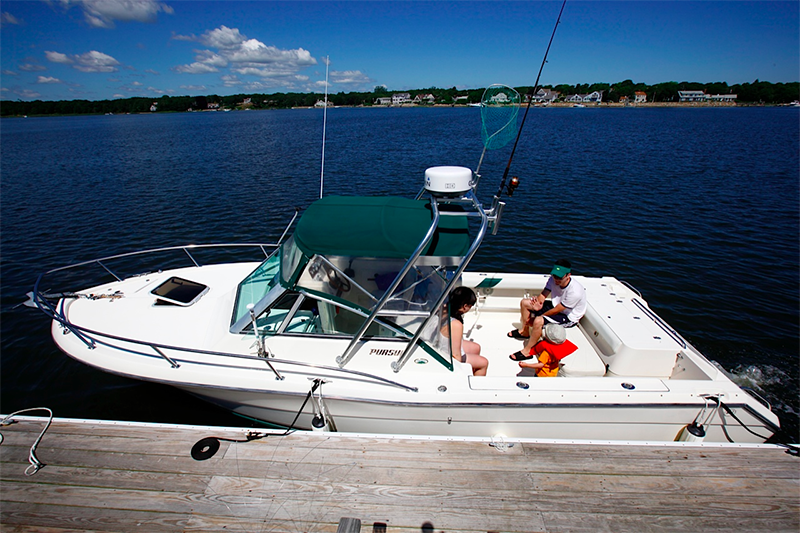 I installed it on a new 24' Carolina Skiff. Very easy install. I used all your options stuff, antenna bracket,LED rear running light,& flat plates for port & starboard lights. GPS antenna & all light wiring went inside the tubes, for a very neat job. My local canvas guy made my surround. I was able to get these really neat cup-holders, that mounted on each side of my console on E-bay. I mounted the top with a kit I got from you, with G-flex, & 52- hundred, top is ROCK SOLID ! Thank you for all your help, anytime I needed questions answered. When I first contacted you about your "Tower in a Box" I was inquiring if you or anyone had made the tower fold forward, and at that time you indicated that you had never seen it done. Well being here in land locked Alberta I need to travel 1100km to get to my favorite fishing grounds so tarping and stream lining the boat is a priority. 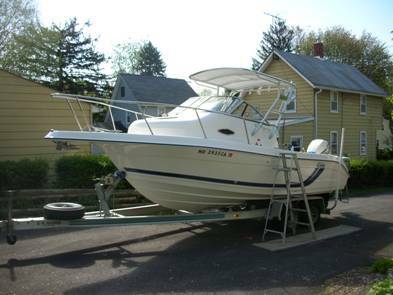 So here it is mounted on a 1999 Bayliner Trophy 2052, nicely folds forward and rests right on the flat spot at the front seat location. With the height of the handrail being nearly the same the original travel tarp fits right over. 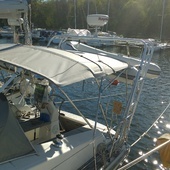 The Bimini also folds down but is up in these pictures to be sure I had clearance for it during the installation. Did the install myself and it went well, being an equipment designer myself I found most parts nicely designed and well made. One suggestion I would make is to add a small (3/32") center hole in the nylon pads that one adjusts for angle. I drilled one blind hole on the inside of each half pad and put a short roll pin inside to keep the halves aligned when indexing them to the hull. Still need to install the light kit and move my GPS antenna to the top but very happy with the Tower overall. I am very pleased with my new arch top. It is exactly what I have wanted all along. 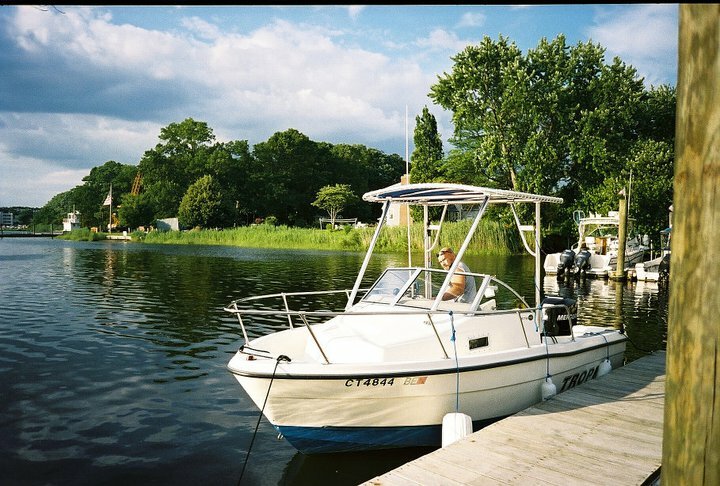 It makes my boat seem so much bigger. Here are some photos of the fellas mounting my new top. What a fine job they did. They looked after my boat as though it were their own. Very nice work. 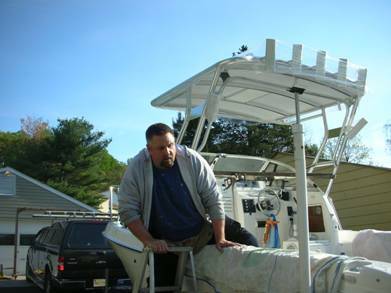 Yesterday, I towed the boat to weather Stopper Canvas to get the new enclosure made. It will be ready in a few weeks.